Send MailChimp campaigns to ask for feedback on your business. 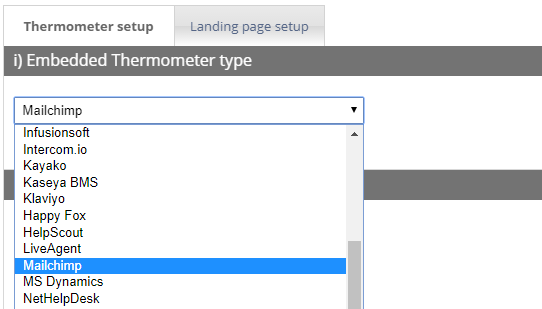 Choose “Mailchimp” from the i) Embedded Thermometer type drop down box. Add / edit the MailChimp Merge tags as shown below. 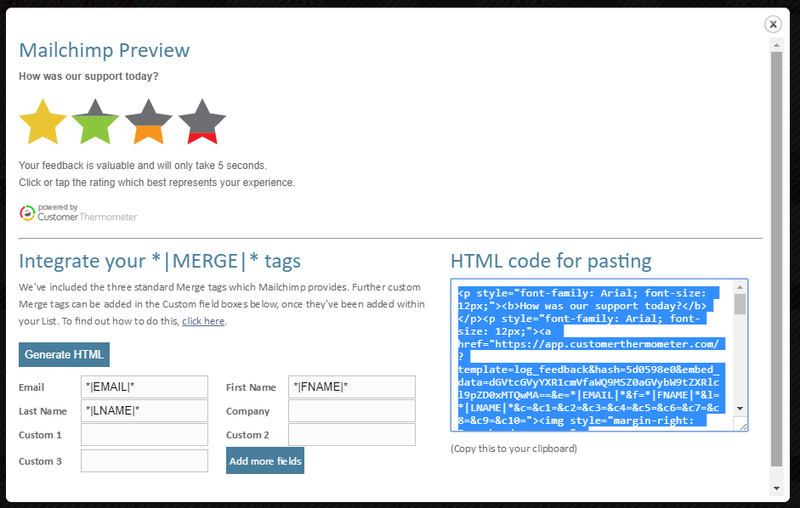 To create and use additional Merge tags (which will track additional data about your contacts, click here. These variables will provide identifiable feedback and dictate which data is captured alongside Customer Thermometer rating. Click “Generate HTML” and copy the HTML code generated. Navigate to an email template or email within a campaign and edit it as you normally would. Select the default code which appears in the Code window and select it (ready for overwriting). Paste in your embed code into the Code window, copied from above. Customize the HTML code as you see fit, to merge the design in with your newsletter. Don’t forget you can create your own icons and just attach our tracking links. 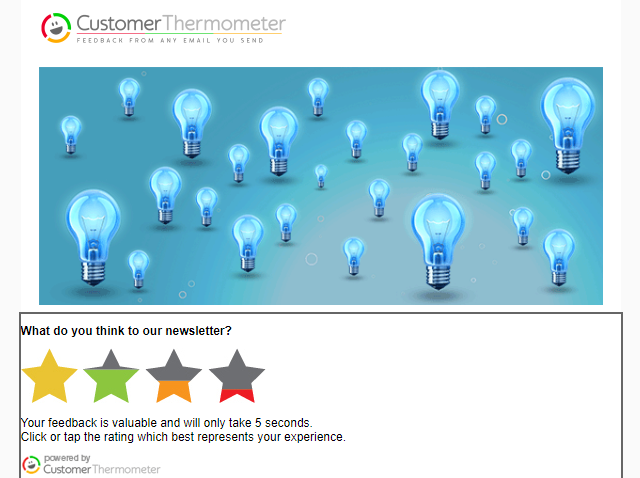 Once you’ve embedded your Thermometer into your MailChimp campaign, you’ll need to finalize your landing pages. You can enable a comment field, add your logo, customize the wording, and lots more!